Jane Robinson opened proceedings with a sonnet and a sestina. I admire poets who can handle these forms, though I prefer a more free-flowing style (is this because I’m no good at sonnets, sestinas, villanelles, etc.? probably). Lots of readers, as this is a very popular venue. Outstanding, among some really good stuff on the nght, was Steve Conway with his ‘Schroedinger’s Bus’ story. Intriguing and amusing, it has to do with simultaneous presences, quantum phenomena and … buses. You’ll have to read it (or hear it) to believe it. 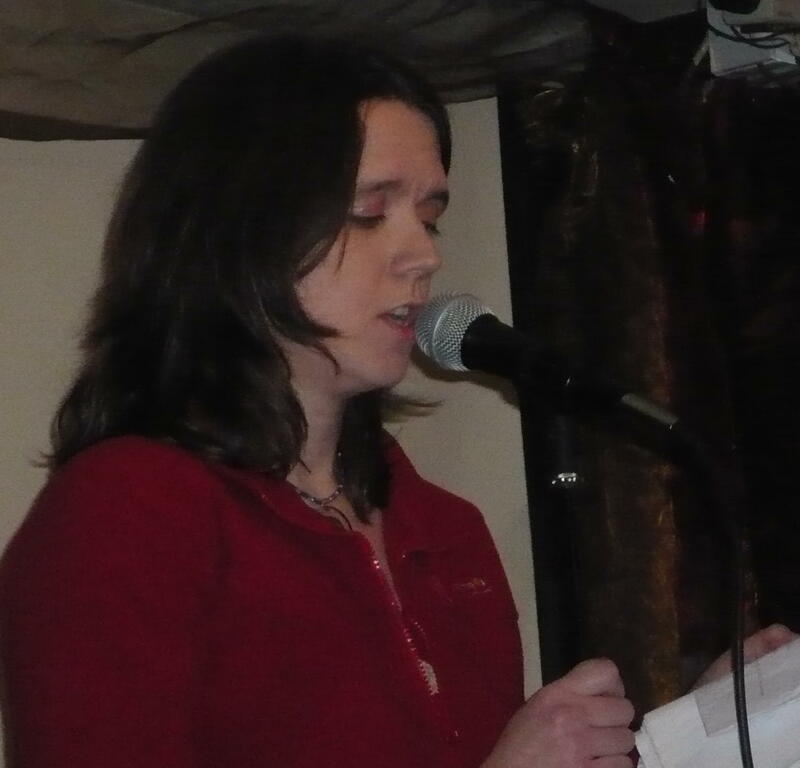 Patricia O’Callaghan made her Open Mic debut, herfirst time at the Last Wednesday night anyway with ‘Philosophy in Paper Bags’, a poem about workmen taking lunch, and some other poems from her collection (‘The Tailor’s Shop’) published by Lapwing 2008. Eileen Keane read the beginnings of a novel and both Niamh Bagnell and Andre Kapoor gave versions of that rap style which is deleivered without script and with intricate rhymes. Andre’s poem concerned ‘beauty’ but of the kind found in true professionalism, and his example was Tommy Cooper, the English comedian who died on stage during a performance. The audience did not realise it at the time and thought it was joke. and kept laughing. I think Tommy would have been very happy with that. The night finished up with another newcomer, David O’Riordan, who did a piece on the way the word ‘Legend’ has ended up as a cliche, since it is used so often to describe the most banal of things that it has by now become meaningless. I like poems that focus on the language we use, and how we use it.